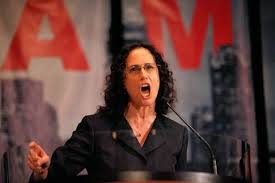 It was not too long ago Lisa Madigan declared a financial emergency and attacked the state’s public employees and retirees. Madigan and other self-interested politicians insisted on cutting pensions as their solution for the state’s budget problems, instead of considering more comprehensive, legal and ethical strategies for addressing the state’s antiquated revenue system and unfunded liabilities the Illinois General Assembly had created. What Madigan and the Illinois General Assembly attempted to do, nevertheless, was violate the state’s pension and contract clauses, due process and equal protection rights, the right of eminent domain, and also provisions in the U.S. Constitution, such as the taking of property without due process of law and equal protection, and ex post facto law.